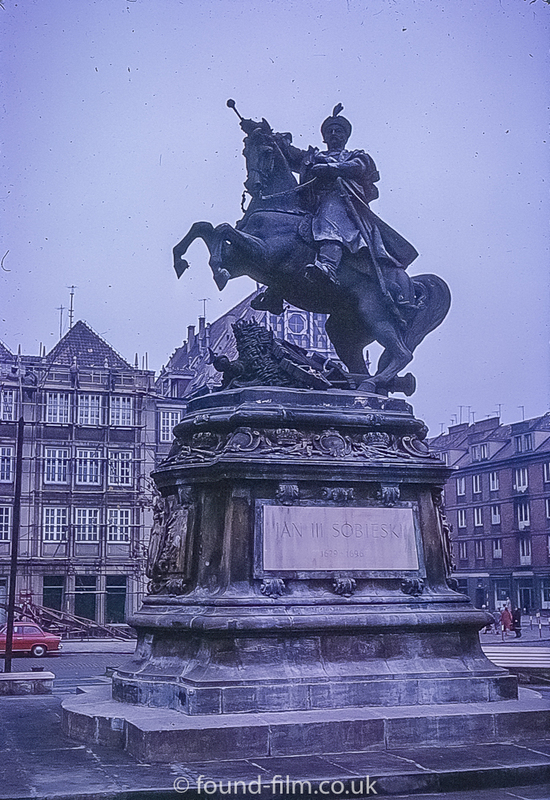 This is a picture of the monument to King Jan III Sobieski which is situated in Gdansk in Poland. 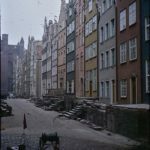 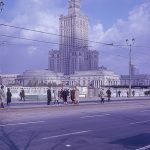 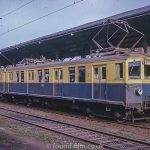 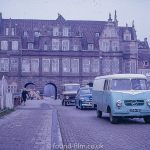 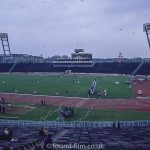 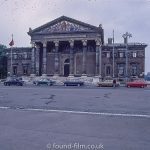 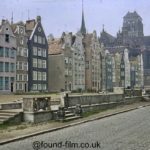 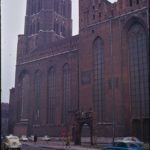 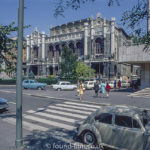 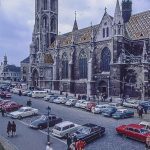 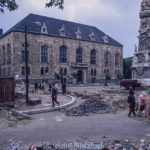 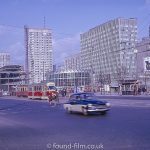 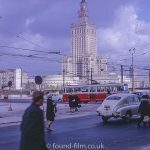 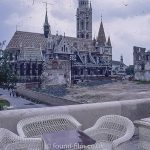 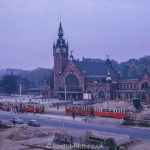 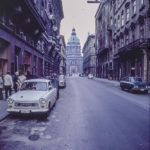 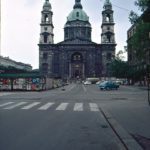 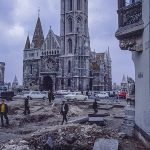 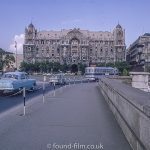 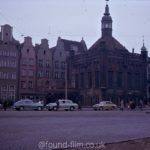 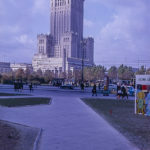 This picture is one of a series of pictures taken in Poland and Germany sometime between 1965 and 1975. 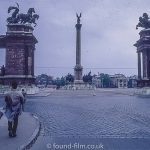 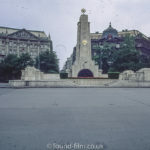 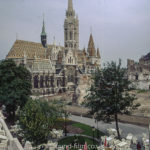 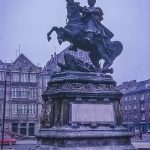 The location of this particular picture was easier to find than many others, because of the inscription on the base of the monument, although there are two monuments to King Jan III Sobieski and my initial google maps search found the other one. 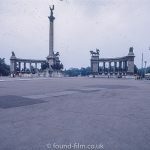 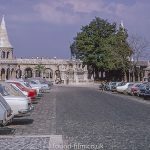 Interestingly, in the modern Wikipedia picture linked above, the inscription plate is different, although the location and statue are definitely the same so this must have been replaced sometime after this picture was taken. 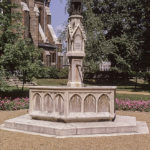 In fact, every other picture of this monument on Wikipedia has the new inscription plate, so I assume the picture below pre-dates all of those.